Midwifery Traditions is a lovely home and hospital birth practice serving the Greater Philadelphia area. They recently expanded from one to three full-time midwives and needed a website to help them connect with new clients. I was especially excited about this project because Midwifery Traditions attended the birth of my daughter Sydney. Under their care, we had a wonderful birthing experience. So helping them expand their client base wasn’t just about helping them become more profitable; it was a chance to help many expecting mothers to access their holistic care. We built a design that gives users a sense of the sacred, beautiful potential of natural birth. They had many professional quality photos that previous, grateful mothers shared with them. I found a pair of stunning photos that captured the process through labor into the elation of birth. We decided to feature them consecutively on the home page to immediately build a sense of connection among visitors. 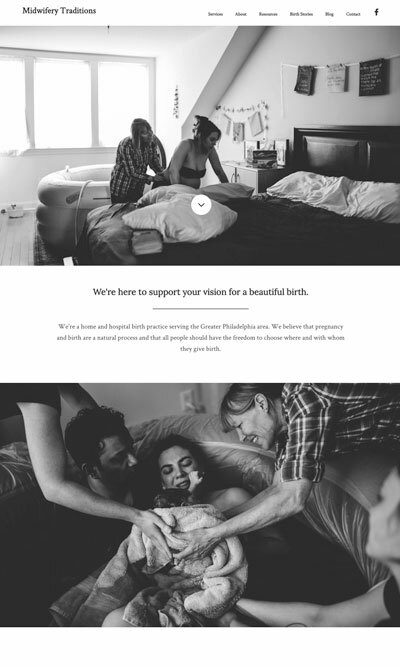 Since launching the site, their Google ranking for “Philadelphia Midwives” climbed to the first page, after previously being stuck somewhere deep on the third page of results. At the time of this writing, they hold the 5th spot overall, just a spot below Penn Medicine’s midwifery services. 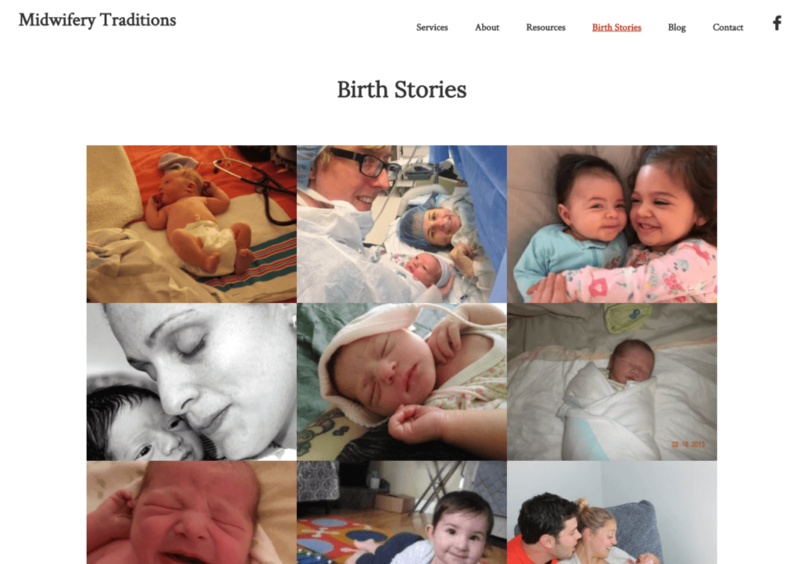 We built a section on the site for mothers to submit their birth stories and photos to be displayed on the site. This allows expecting mothers to benefit from the experience of others and mentally prepare for their upcoming birth. It also serves as an ideal resource for potential clients looking to build a sense of trust and connection with the midwives. We automated it so that users can submit their stories via a form, which notifies the midwives. Once they click “Approve” it appears on the site.